After the mission start, activate the touchscreen in the nerve center again and switch the cameras until you find a robbery. 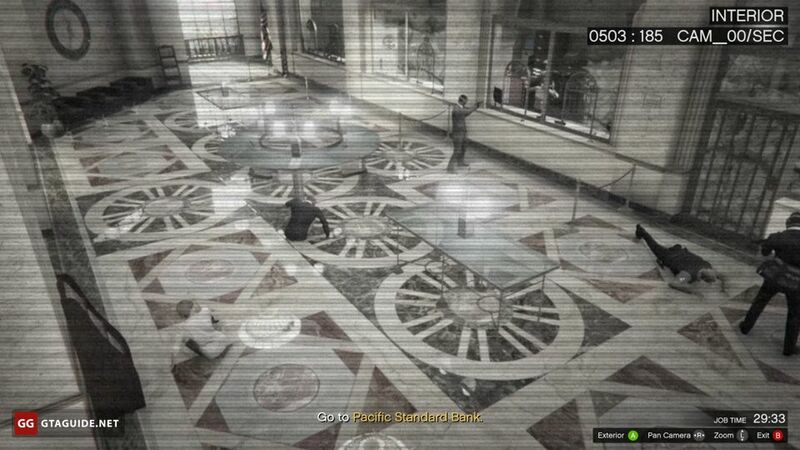 Then point the camera at the entrance to the bank building using the mouse or the right stick on the controller. 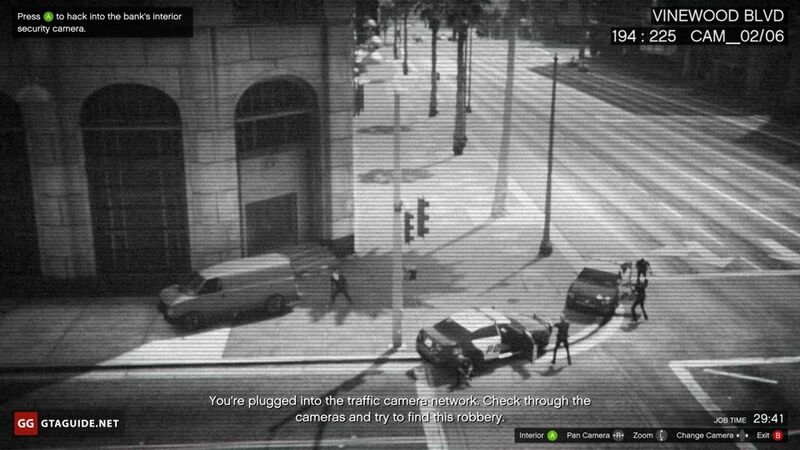 After that, it will be possible to switch to the bank’s interior security camera by pressing “Cross” on PS4, “A” on Xbox, or Enter on PC. Do it and head to the bank marked on the map. 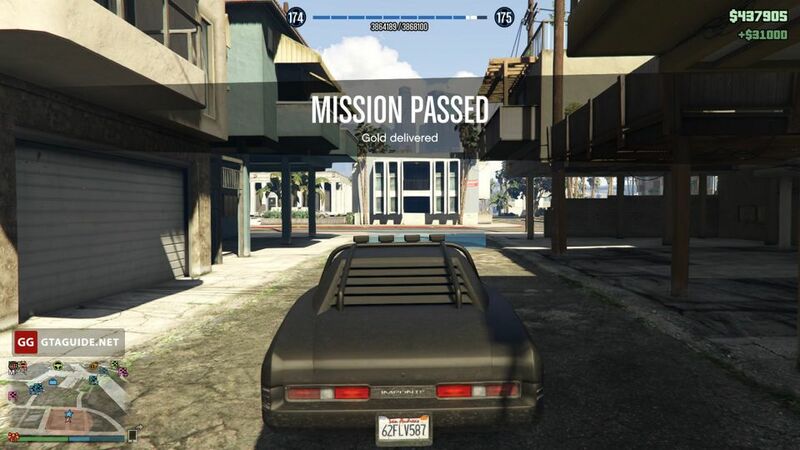 You can use any vehicle, Terrorbyte is only needed to start the mission. 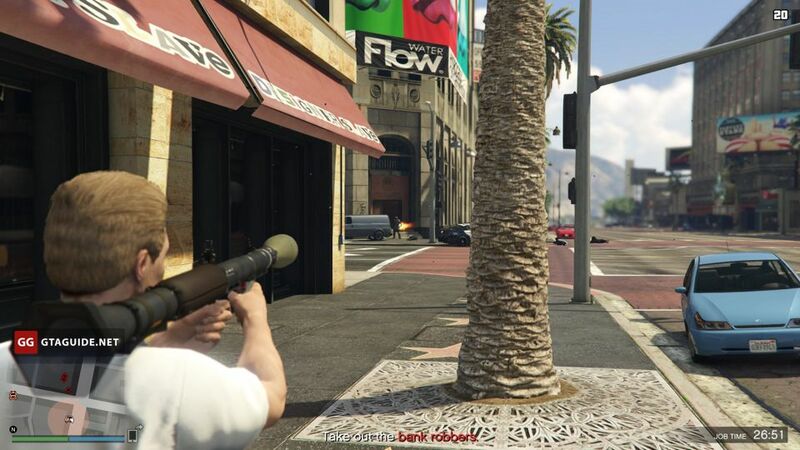 Stand at a sufficient distance from the entrance to the bank because there a robber in heavy armor with a minigun is engaged in a shootout with policemen. You can wait until he eliminates them, and then shoot him using an RPG. 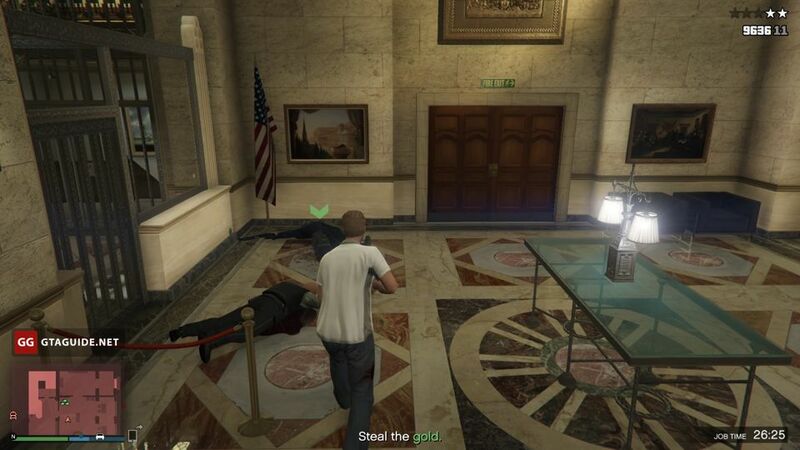 Sometimes a robber with a minigun does not leave the bank but stands right behind the front doors. 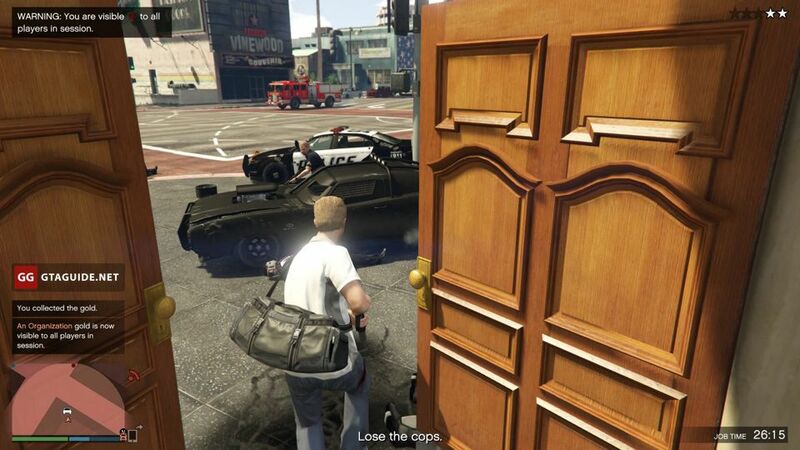 In this case, shoot at the doors with an RPG. An explosion is likely to kill the robber, and you can safely go inside. 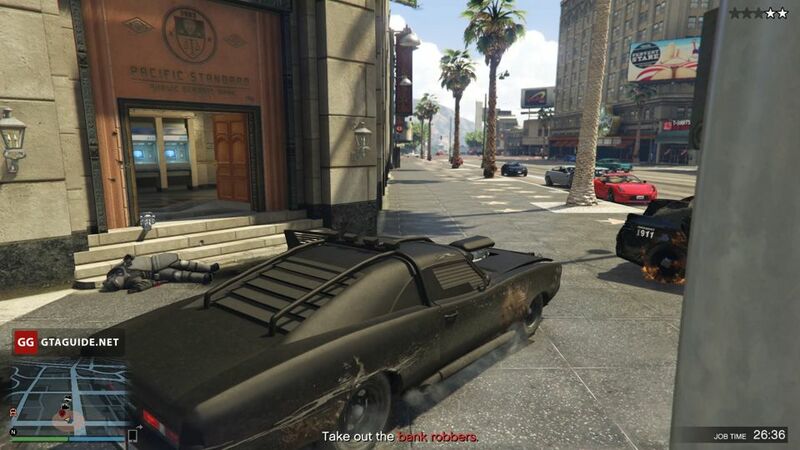 When a robber with a minigun is eliminated, park your vehicle as close as possible to the entrance. Inside, there are a couple of robbers, one of whom is carrying the gold. Eliminate them and take the bag. At the exit, you may encounter the police reinforcement. Eliminate those policemen that pose the greatest danger, get in your vehicle and lose the cops. After that, the only thing you need to do is to deliver the gold to the marked point. You need to find the data drives in one of four target vehicles. Уou need to hack two laptops in the Lifeinvader Office and then eliminate the target. 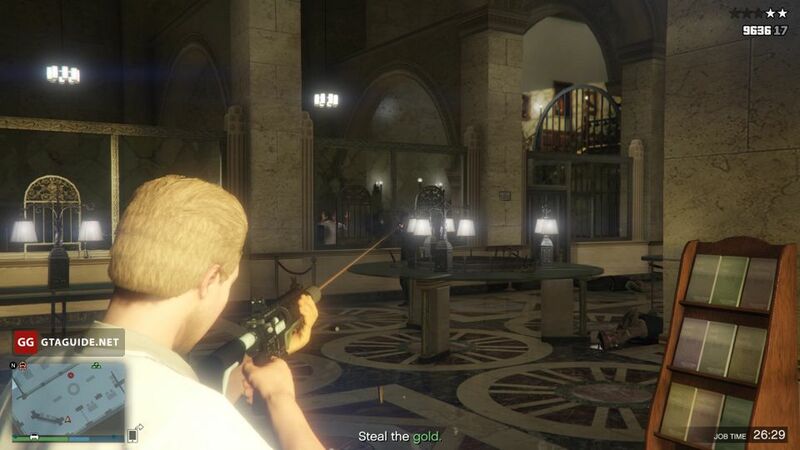 You need to steal the diamonds from the Vangelico jewelry store and then deliver them to the client. You need to find three security vans, steal the antiques, and then deliver them to the buyer. You need to locate the deal, steal the stainless steel security case, and deliver it to the specified point.